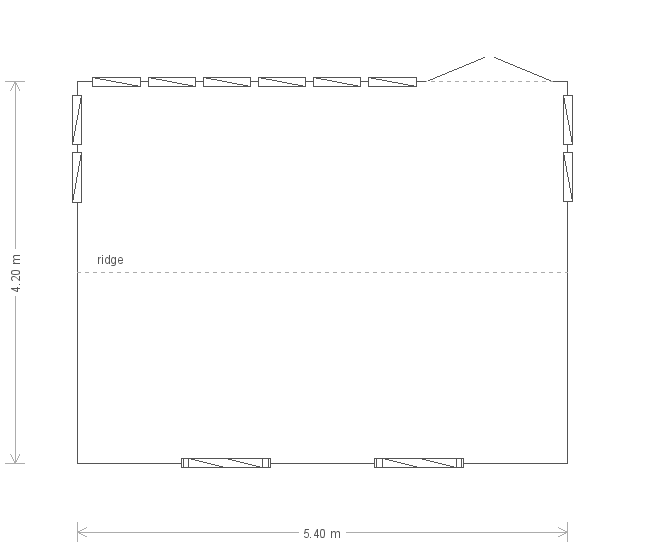 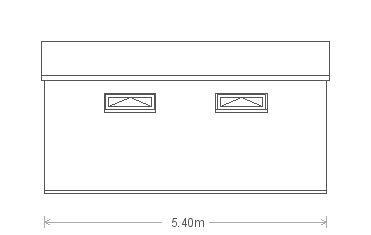 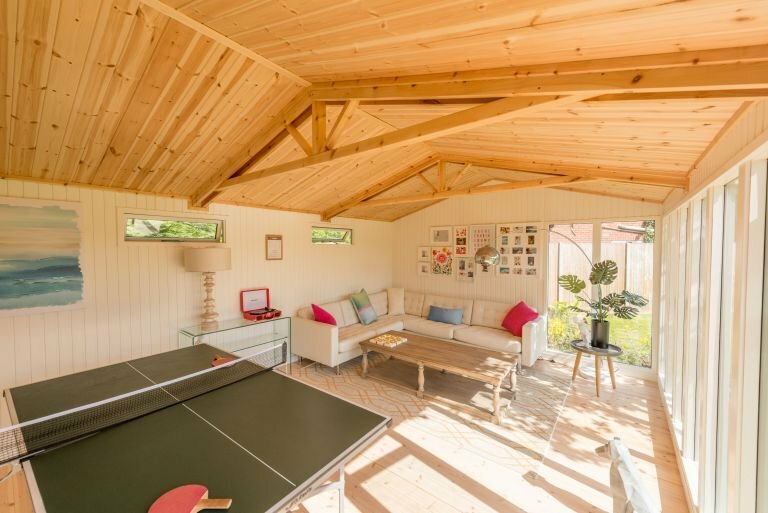 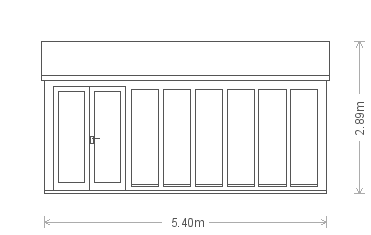 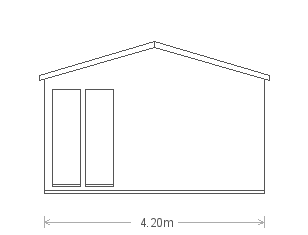 This large Burnham Studio can be used for many purposes, from an art studio, hobby room, or garden office, to an entertainment room or even a summerhouse. 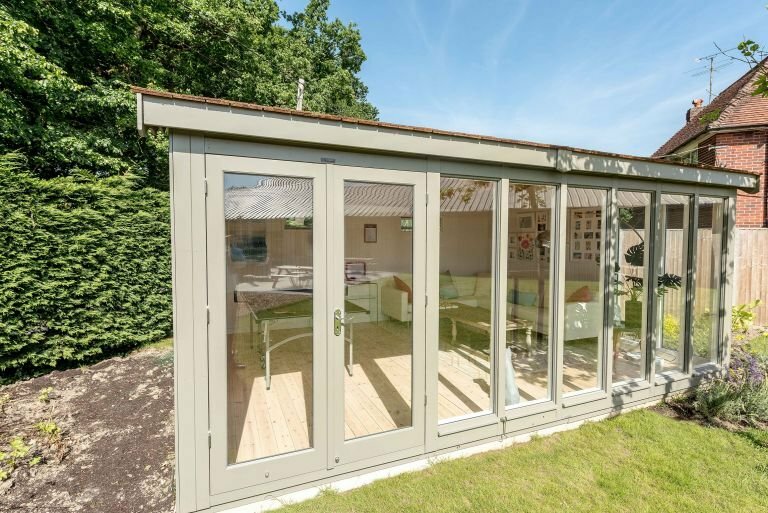 With its full insulation, double glazing, matchboard lining and draught excluders in the doors and windows, our range of Garden Studios are perfect for using all through the year. 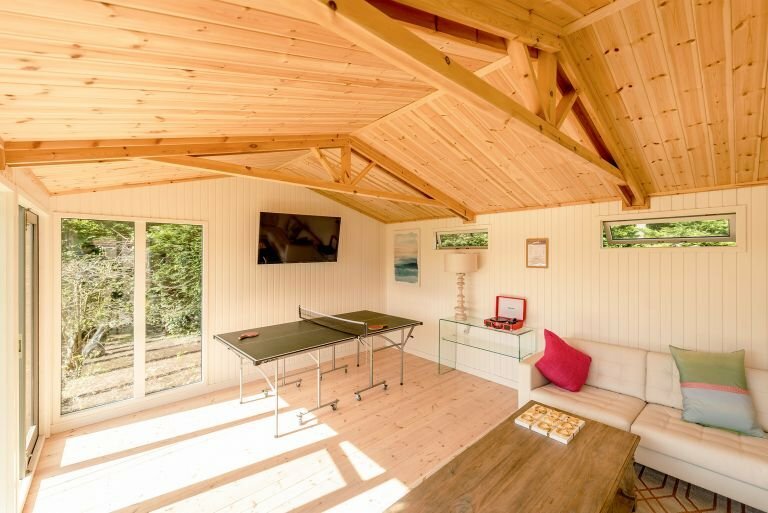 This attractive, modern and sleek Burnham Studio was recently selected from our range of FSC® certified timber buildings as an addition to their garden. 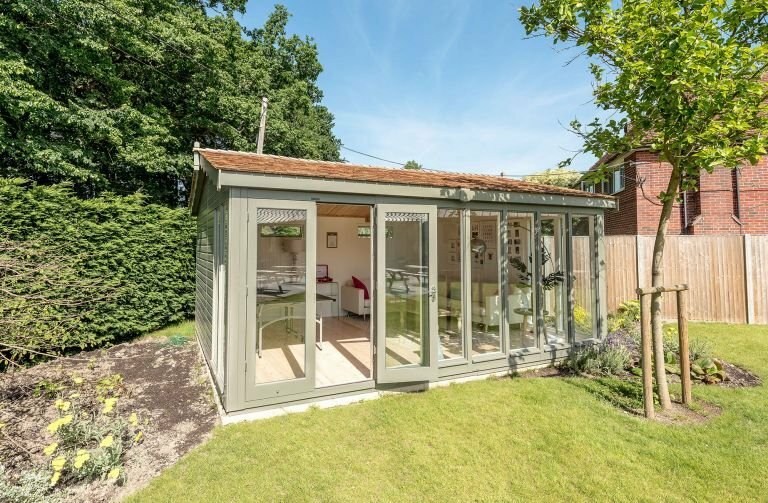 Measuring 13 x 14ft, the studio was designed and hand-built at our factory in Norfolk before being both delivered and assembled at the customer's specified delivery address by our in-house installation team.